(Bloomberg) – South Africa’s ruling African National Congress agreed to seek a change in the constitution to allow for the expropriation of land without compensation, provided it doesn’t affect the economy and food production. 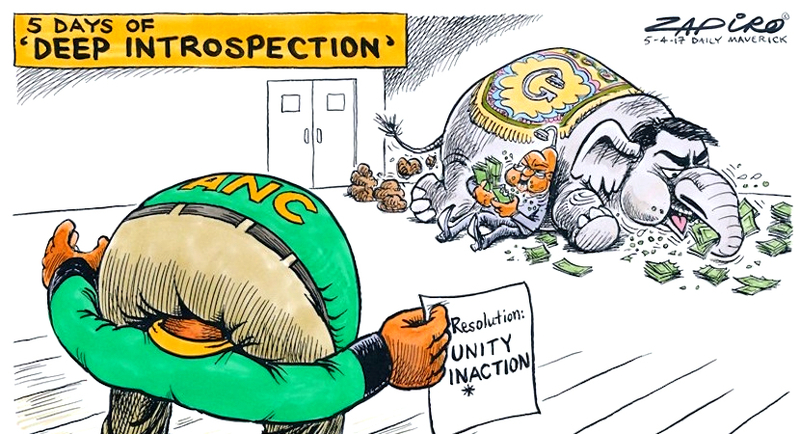 The party agreed to the proposal in a debate that “nearly collapsed” its five yearly conference, Enoch Godongwana, the head of the ANC’s economic transformation committee, told reporters in Johannesburg on Wednesday. Delegates didn’t agree on a deadline for the change and the policy must not affect other sectors of the economy, he said. South Africa ruling party has sought to accelerate redistributing land to the country’s black majority from the more affluent white minority but is deeply divided on how to achieve that, with President Jacob Zuma seeking radical policies as his term as national leader comes to an end. Cyril Ramaphosa beat Nkosazana Dlamini-Zuma, Zuma’s preferred candidate and ex-wife, to become ANC president this week. The rand reversed gains of as much as 1.1 percent against the dollar and was 0.3 percent weaker at 12.7435 by 10:15 p.m. in Johannesburg. Two-thirds of lawmakers need to approve a change in the constitution. 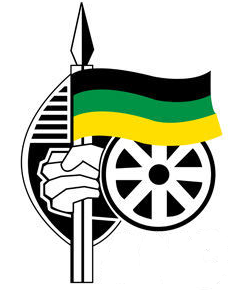 The ANC holds 62 percent of the seats in parliament and the opposition Economic Freedom Fighters, which backs the proposal, has 6 percent. 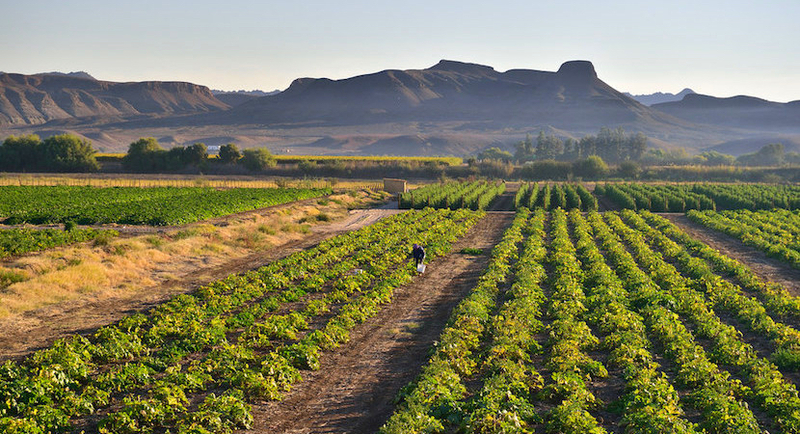 White farmers own almost three-quarters of South Africa’s agricultural land, according to a land audit by farm lobbying group AgriSA published last month. The amount of land owned by the government and racial groups who were disadvantaged under white-minority rule rose to 26.7 percent of South Africa’s agricultural land in 2016, from 14.9 percent in 1994, according to the audit. Farm debt to South Africa’s commercial banks was about 89 billion rand ($7 billion) in December 2016, according to data from the Department of Agriculture, Forestry and Fisheries. 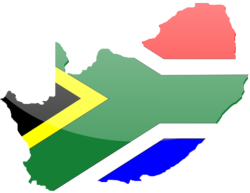 (Bloomberg) – South Africa’s ruling party has ratified a proposal for the state rather than private shareholders to own the central bank. Delegates at the African National Congress’s elective conference in Johannesburg decided that the government should own 100 percent of the Reserve Bank, Enoch Godongwana, the head of the party’s economic transformation committee, told reporters in Johannesburg on Wednesday. The conference didn’t discuss changes to the central bank’s mandate, he said. The Reserve Bank’s investors have no say over its policy or the appointment of the governor, but do vote to select seven of the 10 non-executive directors. It’s one of a small coterie of global counterparts from Japan to Switzerland that has private shareholders, a legacy of its foundation in 1921. The proposal, made at the party’s policy conference in July, came two weeks after the nation’s anti-graft ombudsman said the Reserve Bank’s inflation-targeting mandate should be changed. While the High Court has set aside that suggestion, the ANC proceeded with the plan to change the regulator’s ownership structure. The ANC now will have to ask parliament to change the South African Reserve Bank Act. The party holds more than 60 percent of the seats in the legislature. After fighting the anti-graft ombudsman’s mandate-change proposal, Reserve Bank Governor Lesetja Kganyago said the central bank would only oppose ownership changes if its independence is threatened. The Reserve Bank has 2 million issued shares that are bought and sold on an over-the-counter trading and transfer facility after it delisted from the Johannesburg Stock Exchange in 2002. In the six months through Dec. 19, the central bank’s stock traded for a little as 3 rand ($0.23) and as much as 12 rand, the lender said on its website. There is no set timeline for the nationalization of the central bank, Godongwana said. “We said we would buy it when we have money without benefiting the speculators,” he said.